Paper-I shall consist of 50 objective type compulsory questions each carrying 2 marks. The questions which will be of general nature, intended to assess the teaching/research aptitude of the candidate. It will primarily be designed to test reasoning ability, comprehension, divergent thinking and general awareness of the candidate. Paper-II shall consist of 100 objective type compulsory questions each carrying 2 marks which will be based on the subject selected by the candidate. The upper age limit for appearing in JRF has also been raised by two years, i.e. from the existing upper age limit of 28 years to 30 years (the relaxation as earlier will remain same). 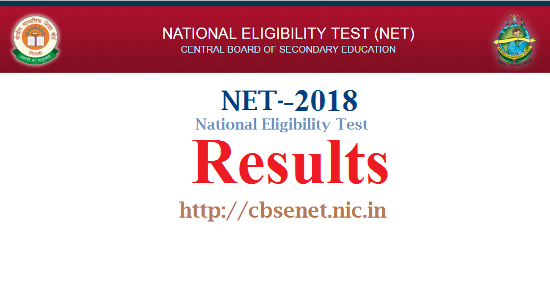 The candidates who desire to appear in the test may see the detailed notification available on the website http://cbsenet.nic.in from 01st February, 2018. The candidates are required to apply online from 06th March, 2018. The last date for applying online is 05th April, 2018 and fee can be paid up to 06th April, 2018.